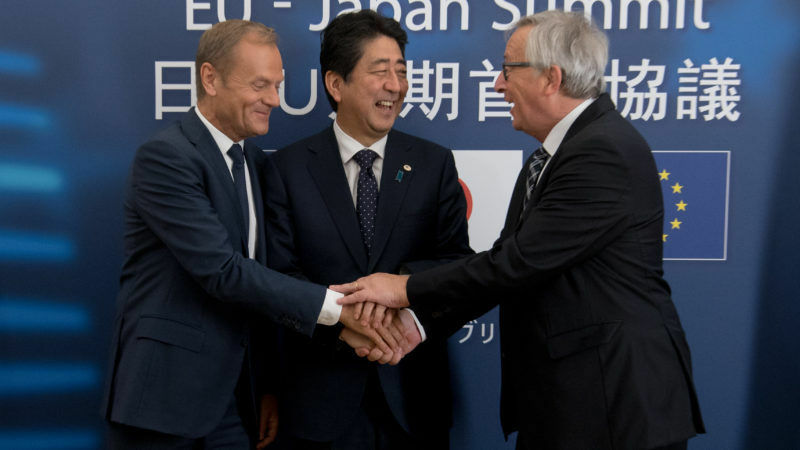 The European Union and Japan agreed the broad lines of a trade deal on Thursday (6 July), promising to iron out the last details within months. “Today we agreed in principle on an Economic Partnership Agreement, the impact of which goes far beyond our shores,” European Commission President Jean-Claude Juncker said during a press conference at the end of the extraordinary EU-Japan Summit. European Council President Donald Tusk stressed that the deal is not just about trade but about shared values and committing to the highest standards in areas such as labour, safety, environmental and consumer protection. “Together, we are sending a strong message to the world that we stand for open and fair trade. As far as we are concerned, there is no protection in protectionism. Only by working together will we be able to set ambitious global standards. “This will be the message that the EU and Japan will bring together to the G20 tomorrow,” Juncker added, referring to the G20 summit about to kick off in Hamburg. 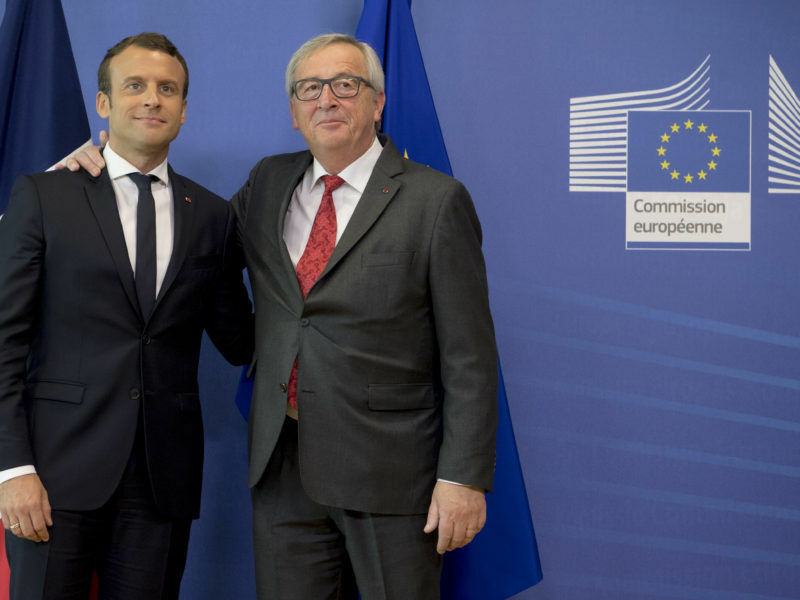 The Commission has insisted that the EU-Japan will be the most important bilateral trade agreement ever concluded by the EU and, as such, will for the first time include a specific commitment to the Paris climate agreement. The Economic Partnership Agreement will remove the vast majority of duties paid by EU companies, which total an annual €1 billion, as well as opening the Japanese market to key EU agricultural exports and increasing opportunities in a range of sectors. European farmers will now get greater access to Japan’s highly protected dairy market, which will help them deal with a deep crisis, caused by super-low demand and excessive supply. EU negotiators said the deal scraps duties on many cheeses, such as Gouda and Cheddar (which currently are at 29.8%), and will also allow the bloc to increase its beef exports substantially. On pork there will be duty-free trade in processed meat and almost duty-free trade for fresh meat. Japan is the EU’s second largest trading partner in Asia and supplying beef to this market at lower tariff rates could potentially make it more attractive to EU-based exporters. Beef exported from the EU is currently subjected to tariffs of around 38.5%. Tariffs on wine exports, for example, will disappear from day one of entry into force of the deal. For wine producers this means a saving of €134 million a year. “Equally the Austrian Tiroler Speck, the German Münchener Bier, the Belgian Jambon d’Ardenne, the Polska Wódka as well as over 200 other EU Geographical Indications will now enjoy the same level of protection in Japan that they have in Europe,” Hogan added. EU officials said they have also secured results in the auto sector. Japanese car makers will get better access to the EU market. The 10% tariff on Japanese cars exported to the EU will be eliminated in stages within seven years. In addition, an immediate tariff elimination of between 3% and 4% will be applied on approximately 92% of Japanese auto parts. 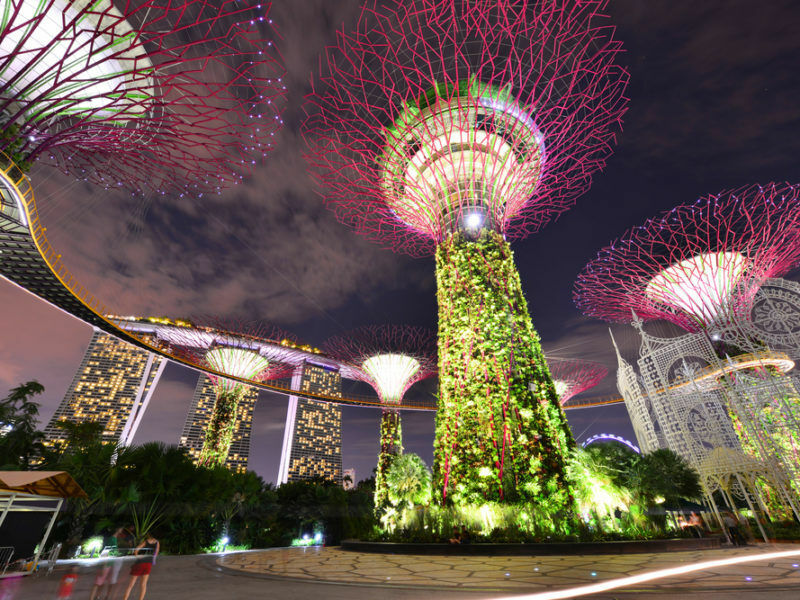 Non-tariff measures are also being agreed, including Japanese alignment with international standards, and regulatory cooperation aimed at creating common standards. At present, South Korean automakers are exporting their cars to the EU on a zero-tariff basis while struggling in the Chinese and US markets. The agreement also includes a labour and environmental chapter that resembles the one signed by the EU with Canada in CETA. Japan will have to ratify a few core International Labour Organisation conventions to be in compliance with the agreement. Director-General of BusinessEurope Markus Beyrer said the announcement sent “a very positive signal to the world”. “We are asking the G20 to take action against protectionism and this is a concrete example of how this could be done,” he added. European Parliament President Antonio Tajani explained that the deepening of the relationship will not just strengthen the EU’s economy by creating jobs and boosting growth. 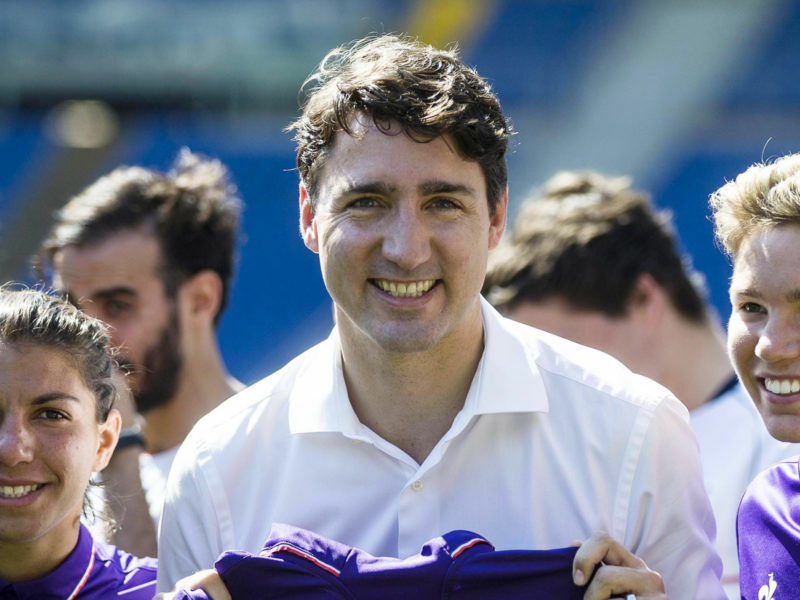 “Just like with CETA, this agreement sends a clear signal that the European Union is an ambitious negotiator that sets the bar high when it comes to international trade,” he said. However, the deal reached today is only a political agreement. A lot remains to be done, especially when it comes to public procurement and investment protection. EU leaders will discuss on Friday options to “screen” foreign investment in strategic sectors, but a more far-reaching proposal that would allow blocking takeovers at EU level remains off the table for now. Even if Japan has agreed to open up markets at municipal markets, Tokyo needs to convince local prefectures to accept the deal. 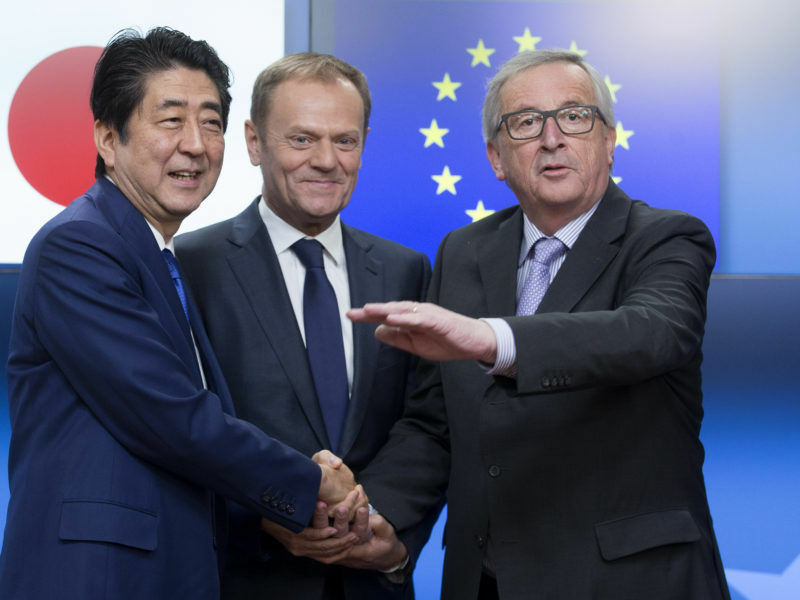 On investment protection, the EU and Japan are still far apart with Brussels sticking to the EU’s investment court system, which Japan adamantly opposes, preferring the arbitration process instead. “Count another extra year – at least – to see the final shape of the agreement,” said Borderlex expert Iana Dreyer. Greens/EFA co-president Ska Keller said crucial questions about the free trade agreement with Japan remain unanswered. "This rushed procedure is not serious. The Commission has failed to learn from its past mistakes. The content and the process of the JEFTA negotiations resemble the old patterns of the TTIP, CETA, and TiSA negotiations," she said, noting that up to now only few MEPs have had access to the negotiation documents. "The little we know about the deal is alarming: public services are not well protected and the precautionary principle is not part of the agreement. Items like regulatory cooperation and private investor courts are also still on the negotiation table. Further, the sustainable development chapter of the agreement needs to include effective measures to protect the environment, such as provisions on the global moratorium on whale hunting," she stressed. Also, the GUE/NGL group in the European Parliament said the dea presents serious threats to employment, industry, labour and environmental standards, public services and democracy. ECR Group Co-Chairman Syed Kamall has welcomed the political agreement. “Japan and European Union countries have been close trading partners and allies for decades. The ECR Group believes that we need to continue making the positive case for open trade, while addressing legitimate concerns over disruption to industries, when others are clearly questioning its benefits. Opening our markets to each other is good for business and good for consumers," he said, adding that we must break down the barriers to international trade if we want to be more competitive and grow our economies. The European Services Forum (ESF), representing the European service industries for international trade negotiations, welcomes the announcement of a political agreement in the EU-Japan Free Trade Agreement (FTA) negotiations. “At this time where protectionism voices and actions are raising, it is more than welcomed that the EU and Japan have been able to conclude a political agreement for their bilateral trade deal. It is an encouraging signal that we hope will be taken into consideration by the G20 Leaders that will meet in Hamburg this weekend,” Sir Thomas Harris from ESF said, adding he still needed to see the texts in the various sectors specific chapters related to services and are aware that there are some pending issues of importance to our industries. Copa and Cogeca, CELCAA and FoodDrinkEurope welcome the announcement made at today´s EU-Japan Summit on the ‘in principle’ agreement of an EU-Japan trade agreement, saying that an ambitious trade deal will have a significant positive impact on both economies. For the European agri-food chain, an ambitious deal means both a comprehensive reduction of import tariffs and non-tariff barriers to trade such as SPS barriers, and the meaningful translation into enhanced market access and trade conditions.